First off Happy Birthday Ji Sung! What a way to round off his special day! What is this magnificence? This perfection, this utterly intricate web that causes even the most expert writer to reel, what is this? This is genius, this is brilliance. Liar Game, you’re this close to being kicked out of the ballpark by a fast one that I never saw coming. Scratch that you’re tied. How am I supposed to survive until next Wednesday? Look when, I started this show, I expected a mess. I’d only ever seen Hwang Jung Eum in Full House 2, which was awful though she made it amusing, and I’d never seen any of Ji Sung’s works before, besides having skimmed Secret briefly in 2013, turned off by the angst (though I adore it now). Point is, I came in with VERY low expectation, convinced to watch this only because of the sheer magnetism Ji Sung exerted on my poor heart when watching that first trailer. I got hijinks and humour, leather jackets, lipstick and lousy bombs (I’m looking at you Perry), poignancy and palpitations, gentle understanding and glorious kisses, all wrapped in this lovely sense of sheer joy, and warmth. And I loved it. Little did I know that a carefully spinner was working her spindle, having set into place a web that would soon begin to collapse in on itself. I – and just as with Dohyun yesterday, I seem to have cause to use this word again – adore this show. When the past few episodes began to degenerate rapidly into a horror/psychological thriller. I was overjoyed at the Liar Game-ness of it all, how well plotted and acted it was and how deep the rivers of emotion ran in these wonderful people. This is pure genius and officially escalated this show to Liar Game status, perhaps it’s even better in that it networks all genres seamlessly and effortlessly while Liar Game grabbed your throat and held it for the entirety of the episode, letting you only breathe at the end. Though that was today’s episode. 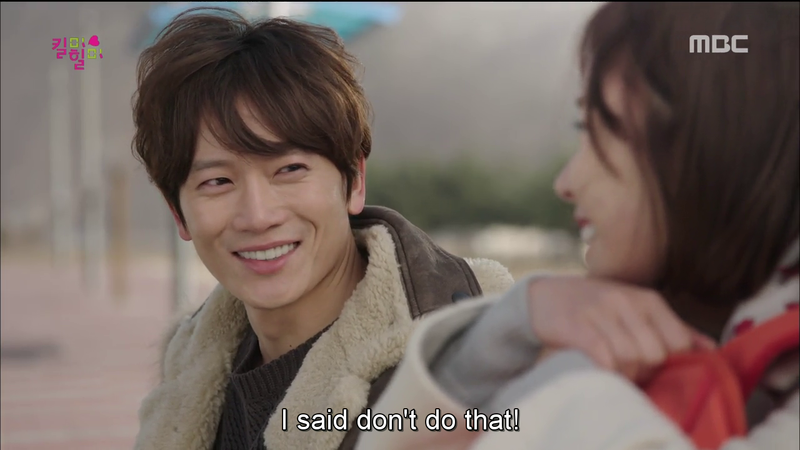 You know it’s a good sign when you’re breathless after a show, and not just because of Ji Sung’s perfection. This explains so damn much. I’m absolutely over the moon at this turn of events. 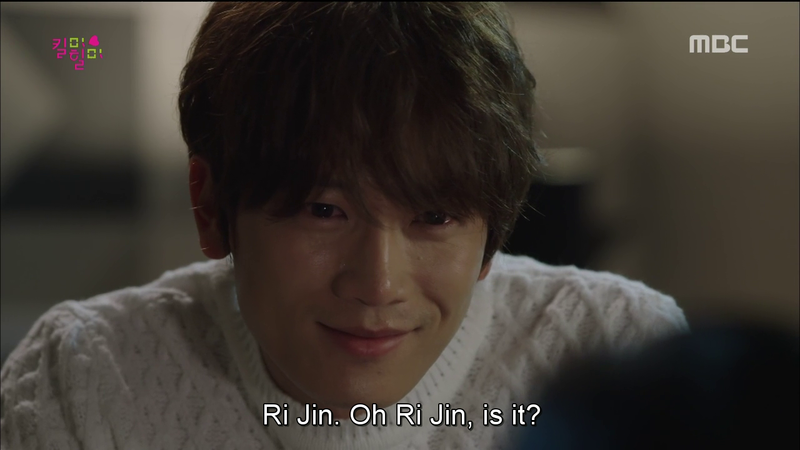 Seeing that Rijin is the real Cha Dohyun, that leaves the question of just what Dohyun’s real name is. 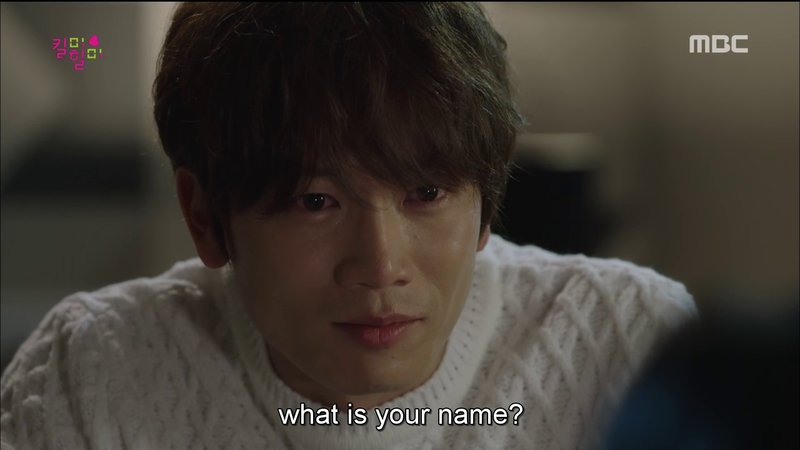 Seeing that his mother’s name is Shin Hwa Ran, that really only leaves one possibility: Shin Segi. This is incredible. The name was clearly pushed on him by Evil Grandma and Mom, and Dohyun, who didn’t remember anything at the time, simply accepted it. Yet some part of him new the truth, and couldn’t stay still as the last part of the girl who’d had to go through so much (and who was his first love) was twisted by the Seungjin family, and so Shin Segi separated from the memory-less Dohyun. This is wonderful. 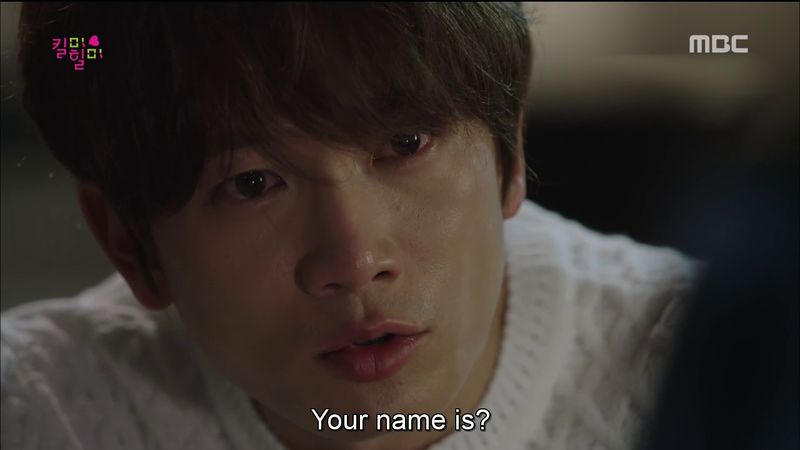 Not only does it give new meaning to Segi’s anger and frustration at being shut up in Dohyun/Ji Sung’s body, but it also makes Dohyun’s words to Segi much more eerie. You will soon become me…I will soon become you. Not only was that a promise but an eerie prediction of what the truth was. Dohyun is Segi, literally, figuratively, and legally. this makes Dohyun’s reinforcement of his name in previous episodes all the more more moving and sad, as it’s not his own. He has just lost the first bit of stability that he clung to. On the bright side, he’s just gained a new piece of himself: Segi. That solves the name game, I’ll be referring to Dohyun and Se gi interchangeably from now on, though Rijin will remain Rijin, because she really is a treasure, and it doesn’t feel right to address her by a name that is part of the most horrible days of her life. Perry Park: Doesn’t seem to know of anything, but bombs and fishing and spends less time than Segi in Dohyun’s body. He’s seems to be based on someone. Who? 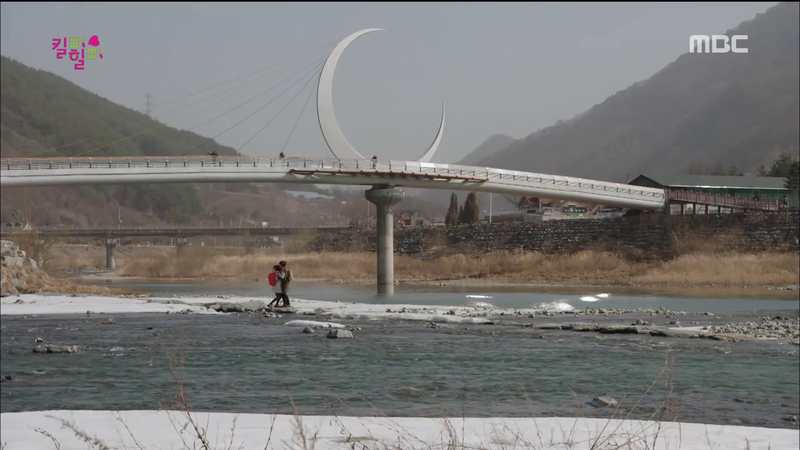 Ahn Yona and Yosub: Yosub seems to be a little aware of the past, but Yona is a wild card. Both seem to rarely appear (I say this seeing that Dohyun isn’t dead, as Yosub would definitely have committed suicide if he came out often), though Rijin’s proximity sure has brought them out quite a bit. Who on earth are they based on? The theory running through the soompi forum is that Secretary Ahn might be involved in this. 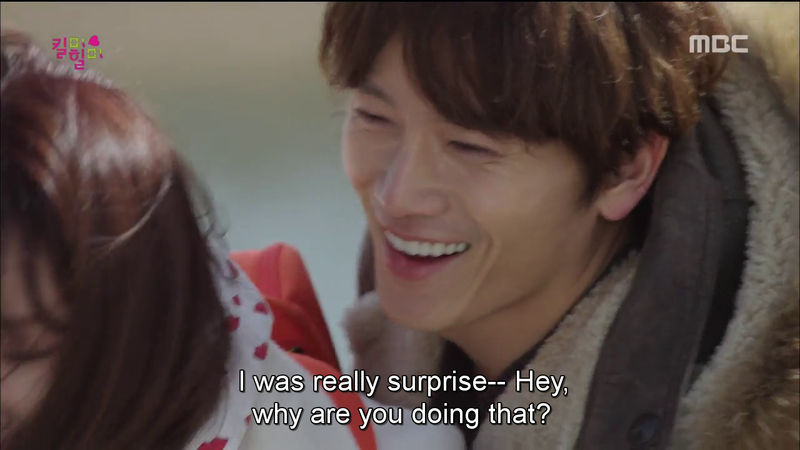 Looking at the brillance of this show, I wouldn’t be surprised if it turned out that he was Min So Yeon’s lover. Nana: projection of Rijin as a child, rarely and randomly appears. We’ve yet to see her role in this. Mr X: We know nothing of this guy, and I can’t wait to meet him. The wonderful people over at soompi noted a marked resemblance in the way that Segi and X swirl their wine, proposing that perhaps X is the master personality, the man who knows everything but stays silent, sending the other personalities out to save Dohyun from behind the scenes. Save him, until he’s ready to handle the truth. And just what does absorbing the personalities mean for Dohyun and each personality? Because face it, we’ve grown attached them at this point and so has Rijin. Inconvenient as they may be, they’re fully fledged people for the most part (Segi is still a bit of a child) and having them absorbed is no different than them dying which would be rather painful to see, and is not really what I would call healing.I would love for Dohyun to simply be able to switch between personalities at random, managing them like one does unruly children. Being incomplete better than being dead though Yosub would disagree. If Dohyun could fully accept all of them as vital parts of himself that have made him the wonderful person he is today, and manage to control them in some manner…*sigh* as impractical as it sounds I would love for this to be true, and see Rijin take Yona shopping and be of quiet comfort to Yosub and save the world from Perry Park and smother Segi and Dohyun with kisses and play with them for as much and long as they’d like. How I’d love for this to come true. But I’ve been talking about only Dohyun here. Rijin almost needs no words. She’s brave, bold, beautiful and brilliant. I can’t express how moving it was to know that she’d known it was a farewell all along and she wasn’t buying whatever excuse Dohyun was cooking up and knew it had to do with her, with how much he loved her. She’s understandably angry with Ri on, who honestly couldn’t have told her anything anyway. I feel for both hurt siblings and hope that they realize (SOON) that they need to be on the same side. I love that Rijin is now finding her memories for herself as opposed to finding them just for Dohyun. Isn’t it strange, what a day can do? It makes her stronger in my eyes, to bear the brunt of that pain, knowing just how bad it’s going to be. And I wonder how both will react upon the revelation of Rijin’s true name. On thing’s for sure, I want them to do it, whatever it is, together. No more secret, no more bearing all the pain alone. 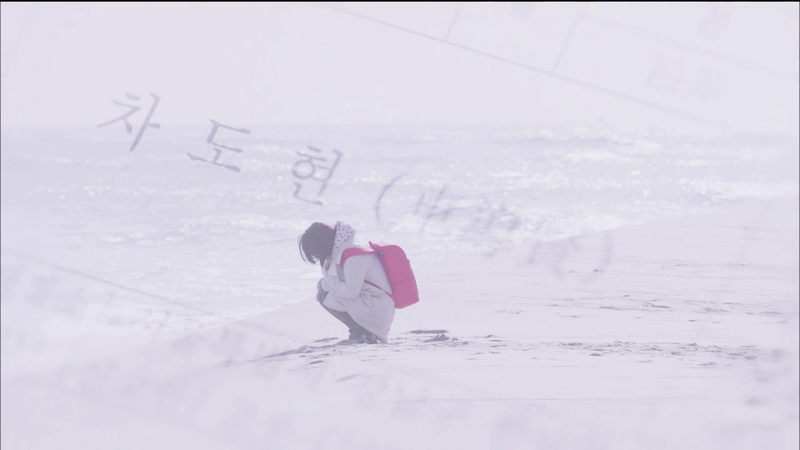 Rijin and Dohyun are tied by the weight of their pain in the past, and need to overcome it together in the future. There’s no point in solo missions here. What with Ri On, now Dohyun’s staunch ally, and Secretary Ahn’s loyalty assured (right, show? right?) we have four people ready to take down Seungjin. And that worked pretty great with the Healer team. I’m curious as to what Dohyun and Rijin’s retaliation (if any) will be. Besides Ri On’s book, which will almost certainly land him a lawsuit, I can’t see how they’re going to extract revenge, which has me a little nervous for these last four (NO!!!) episodes. I want to see these two together, sans misunderstanding and pain (of the pain these past two episodes!) as soon as possible. Dohyun cries far more in this show than Rijin does, which I absolutely adore. I love a man who isn’t afraid to show emotion and Dohyun and Rijin are just good people, that I just want nothing but the best for them. What with the deeper threads this show is treading, i hope it doesn’t lost its fun good humour. 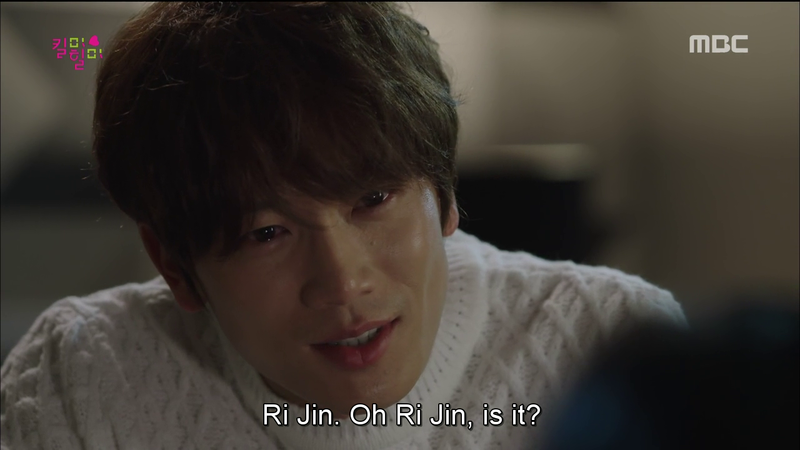 We were long overdue for pain, (as Ri on noted in ep 12, saying that it wasn’t yet the time for melodrama) so I’m glad it’s here – and that it was done brilliantly, with magnificent skill on part of Hwang Jung Eum, Ji Sung and the scriptwriter – but I hope it doesn’t continue for too long. For one thing, it’s going to tear my heart out. And secondly, let’s just give poor Dohyun and Rijin something to hold onto, shall we? How does each other sound? I think they’d really want that, now more than ever. you pointed out so many things I hadn’t noticed! But my mind was completely blown by the revelation in Episode 16. I kept saying ‘no, it can’t be!’ Over and over at my monitor. 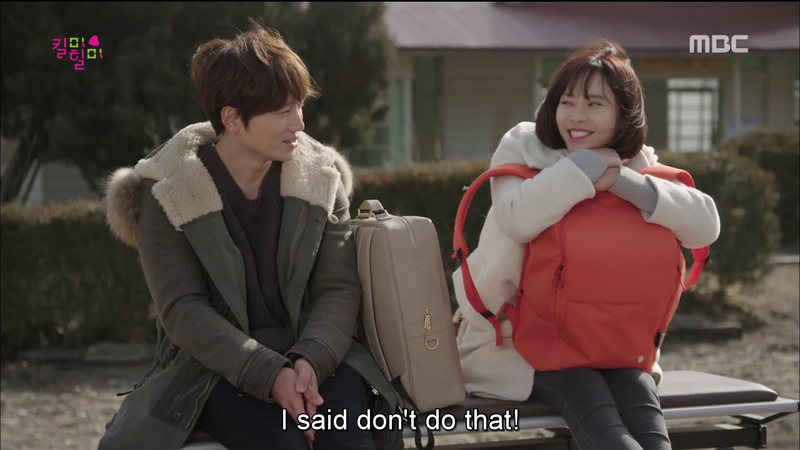 Ji Sung and Jung Eum stay slaying. My heart broke when the memories brought her down to her knees at Grandmother’s house and how she shrinks away from Do Hyun. Repeating the same words used when she was in that hell hole. It destroyed Do Hyun all over again. IMO, everyone is to blame from ruining Do Hyun and Ri Ji’s life. Period. What I also found interesting is maternal and paternal dynamic the show potrays. The father figures are portrayed as weak. Not that I’ll call Ri Ji’s dad weak but we know mom runs the home. And the psycho that is Do Hyun dad, as pointed out, has serious inferiority issues which he took out on little Ri Ji. The women of the show are portrayed as strong, capable, and even ruthless, including Ri Ji’s biological mother. Expect for her adoptive mom (strong and capable). But the one thing most of them share is the unshakable love they have for their children. Grandma with her obession with her psycho son, So Hyun and Mom’s love for Ri Ji. 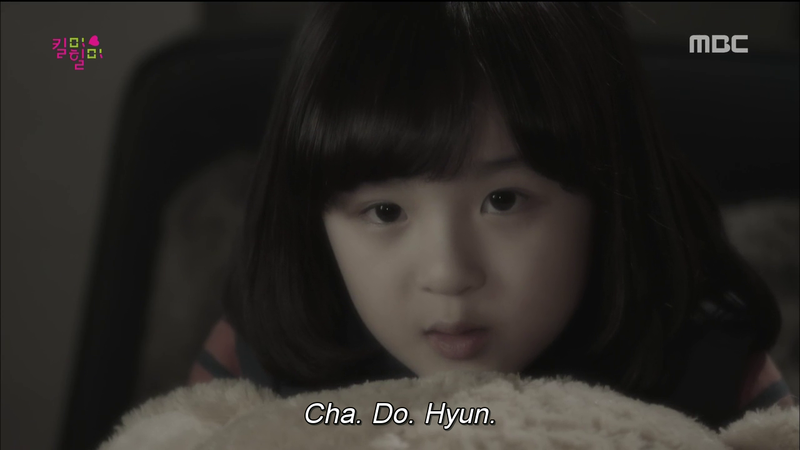 I think the only mother that puts her need before her child is Do Hyun’s mother. It couldn’t be more clear when she was more freaked out about people finding out her son was mentally ill, than actually worrying about his mental state. Even crazy Grandma showed a tiny glimpse of concern. When I watched this episode, there were some moments that got me. One was how Cha Do Hyun’s (?) mom reacted to what happened with the kidnapping. I was like, I’m done with this character. She seems to be the only one without redemption at this point. The second thing that got me was when RI Jin flinched from Do Hyun’s touch as he moved to comfort her. I felt the burn of that. It will be a sad day when KMHM ends. Many of us are mourning already. The revelation in ep 16 shows just how well thought out KMHM really is. I mean, when I think I know almost everything now, the show says “Sit down. We run this show.” As much as I would love to speculate, I won’t cause we’ve learnt that it may be pointless. Still, there are some things I’m sure of. 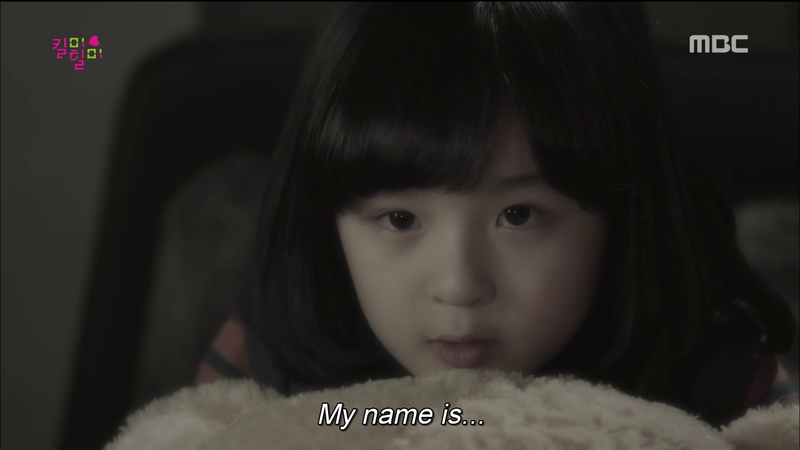 1) Ri Jin is the child of Min Seo Yeon and her lover. This kid was kept in the basement and abused. 2) Our lead is the son of Shin Hwa Ran and Jun Pyo. 3) He is the main personality. We’ve seen episodes of evidence of this. 4) He is not really Cha Do Hyun. Then the question arises, who is he really? Is his name actually Sin Se Gi as some have suggested? Who Knows. This episode blew me away! Wow! Daebak sakkon. Hee. The revelation answers so many questions but raises even more. Nothing is worthless trivia in this show. Everything is carefully laid out and an intricate web has been woven. I thought of a hundred plot twists, but Lordy I did not see that one coming. Pure genius. This goes without saying but, Jisung! You are truly a gem. And so is Hwang Jung eum! Both these actors are so in sync with their characters that its a magical experience to watch them on screen. I wish it would never stop. 4 more episodes is not enough to soothe my craving. That aside, I think we can say with certainty that his actual name was Shin Segi, but its harder to decipher if the actual personality is the same too. Segi has all the memories but the personality of the child we’ve seen so far through the flashbacks seems more like Dohyun. So maybe the child created both Dohyun and seki? Dohyun ,with no memories of the horror he witnessed, who went on to lead a relatively normal life. And Segi, the one with the memories and filled with righteous rage and a thirst for revenge against the perpetrators. But Segi lay dormant up until ‘Dohyun’ was physically abused later in his life. So then the child could be the personality of the mysterious Mr.X? I don’t know where I’m going with these, but there are just too many theories floating around in my head and I needed to pen some down. I agree it’s pure genius! Not just for giving us a totally surprising twist that no one saw coming, but also for the twist resonating smartly with the theme of identity. 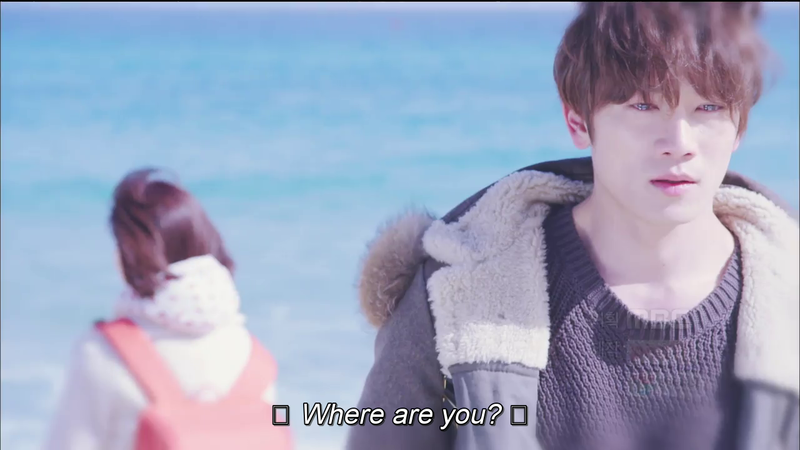 It’s a minority of K-dramas that have some sort of coherent theme, and KMHM is one of them. It keeps us guessing what identity is “real.” Clearly all the alters are real parts of our hero, but what would that look like if he becomes one personality? And now our hero doesn’t even have a name! Who is he anyway? I like to think that his essence is his sense of morality and fairness. Even the impulsive Seki shares those beliefs with CDH. I think the father Jun-Pyo is more complicated than only a monster (though he is that). Maybe because his face looks sad even when he’s at his worst. I have a feeling he’s doing what he learned from his own parents. I can’t stop thinking about this show and I don’t know how to make it till Wednesday. Fighting!